The Pune Sessions Court said that the CBI had delayed filing of the charge sheet. Pune Sessions Court has granted bail to Amol Kale, Rajesh Bangera and Amit Degvekar, in Dabholkar’s case saying that the CBI had not filed the charge sheet within the 90-days period. The political assassinations of Dr. Narendra Dabholkar and Govind Pansare are being investigated by the Central Bureau of Investigation (CBI) and SIT (Special Investigation Team) of Maharashtra, respectively. Criminal Investigation Department (CID) of Karnataka and Karnataka SIT are investigating the cases of M M Kalburgi and Lankesh, respectively. The four cases are being handled by four different investigative agencies in two different states. 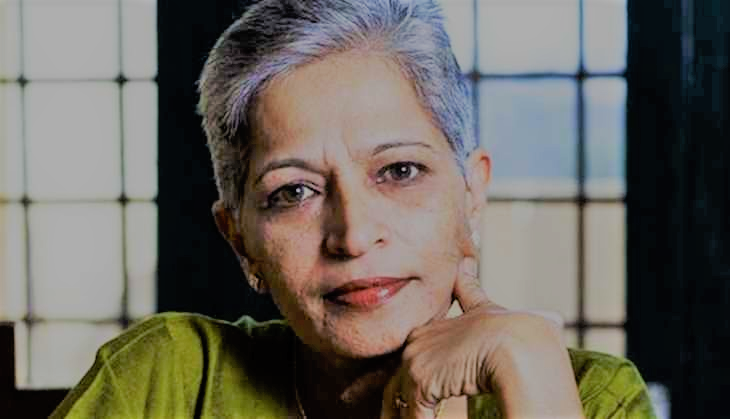 All the above three were first arrested in the case of Gauri Lankesh, and Kale was also named in three other cases. The CBI in September had taken Kale, Bangera and Degvekar under its custody from the Karnataka SIT. On further investigation, the SIT had recovered a diary from Kale which had two lists containing names of 34 targeted individuals who had publicly condemned Hindutva politics. The first list had eight names. Girish Karnad, a well-known playwright and activist from Karnataka was the first name, followed by Gauri Lankesh. The second list had 26 other names. KS Bhagwan, BT Lalita Naik, Veerabhadra Channa Mallikarjuna Swamy of Nidumamidi Mutt, C S Dwarakanath, Yogesh Master, Chandrashekhar Patil, Banjagere Jayaprakash, Patil Puttappa, Nataraj Huliyar, Baraguru Ramachandrappa, Chennaveera Kanavi, Narendra Nayak, and S M Jamadar, are some of the literary figures and activists whose names were in these two lists. Amol Kale, the SIT had noted, was an active member of the Hindu Janajagruti Samiti (HJS), a splinter of the Hindu extremist organisation Sanatan Sanstha (SS). Rajesh Bangera had confessed to the SIT to have trained Rudra Patil, Akolkar, Pawar and Tawade in using arms. He had further informed the SIT that he had joined a Maharashtra-based organisation in 1997, and its chief had made it compulsory for its members to learn to use arms. Even though he left the organisation in 2009, he stayed in touch with the organisation and that is how he was approached by Amol Kale. Kale and Amit Degvekar had approached him in 2011 to train a few young boys. Both Bangera and Degvekar are said to be members of the Sanatan Sanstha (SS). The CBI which is investigating Dabholkar’s case has been lousy and has also been directed by the Supreme Court to speed up the investigation. On June 20, 2014, Manish Nagori and Vilas Khandewal were arrested by Pune police. Following a PIL filed by journalist Ketan Tirodkar, the CBI had taken over this case in May 2014 on the directions of the Bombay High Court. In May 2016, Virendra Tawde of SS was arrested in connection with the case. Along with Tawde, the CBI had named Vinay Pawar, who is missing since 2009, and Sarang Akolkar, who is absconding in the October 2009 Goa blast case, as prime suspects. Tawade has been granted bail in Pansare's murder case. However, he lodged in Yerawada jail as an accused in Dabholkar's assasination case. The CBI had arrested Sachin Prakashrao Andure of Aurangabad on August 18, 2018, alleging that he was among those who shot Dabholkar. Andure was the fourth person to be arrested in the case. The CBI also suspects that Andure hatched the murder conspiracy with Tawde. At the time when the Supreme Court has said that the CBI could take up the investigation of all the four cases if a common link between the cases is found, the delayed response by the CBI in the case of Dabholkar raises questions on its interest in these cases. Also Read: Delay in Investigations: What Are the CBI, CID and SIT up to?